Gunnar Mauritz Widforss was born in Stockholm Sweden in 1879. Gunnar’s father was a prominent business man and store owner. Gunnar attended the Stockholm Technical School and began studying art there. 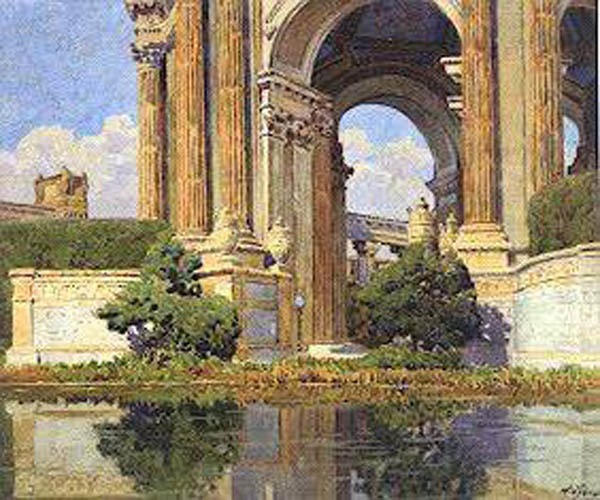 Upon his graduation from the Technical School Gunnar traveled to St Petersburg Russia to work as a decorative painter. After 18 months he returned home for a brief time before leaving for ten years to travel through most of Europe and then America, painting commissions in watercolor and living a bohemian lifestyle. 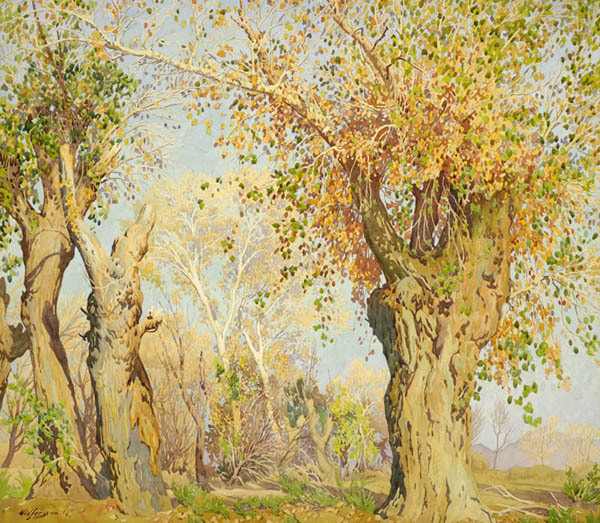 By 1912 Gunnar had begun to achieve some success for his watercolors, two watercolors were accepted into the Paris Salon that year and six paintings were acquired by the king of Sweden. With the outbreak of the First World War Gunnar could not travel until the conflict was over. When Gunnar began travelling again he headed to America working his way west. His plan was to eventually travel to Asia but he ran out of funds. In 1921 he was in California. 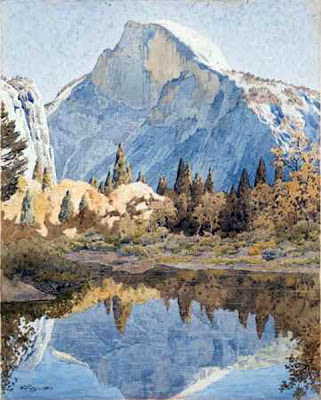 In March of that same year Gunnar made it to Yosemite and lived there on a regular basis in 1928. Gunnar became a citizen of the United States in 1929. It was in Yosemite that Gunnar met Stephen Mather, the first Director of the National Park Service. 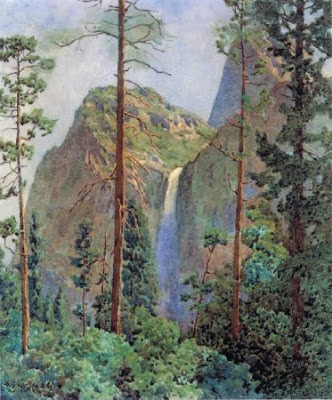 Mather encouraged Gunnar to paint the National Parks and Gunnar took the advice to heart painting most of the Western National Parks, Yosemite, Sequoia, Zion, Bryce, Yellowstone and The Grand Canyon. He also painted up and down the California coast, Death Valley and Catalina Island. 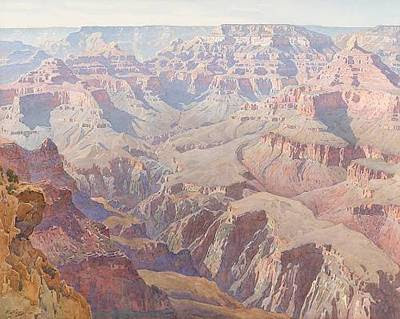 Yosemite and the Grand Canyon are the parks that Gunnar would become most famous for in his travels. 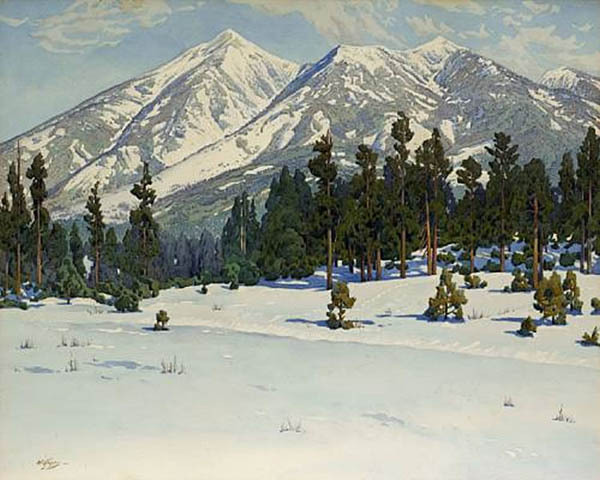 Gunnar preferred to paint on location sometimes spending weeks travelling to a spot to finish his paintings outdoors. 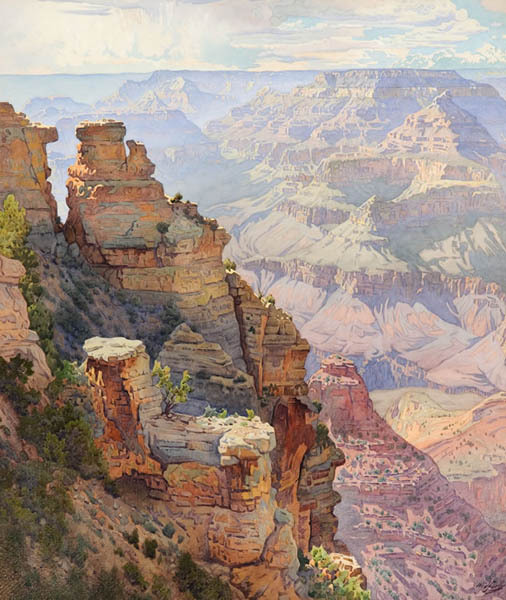 Even though he was warned to avoid the high altitude of the Grand Canyon after being diagnosed with a weak heart he continued to live and paint there. He died at the south rim of the canyon at the age of 54.